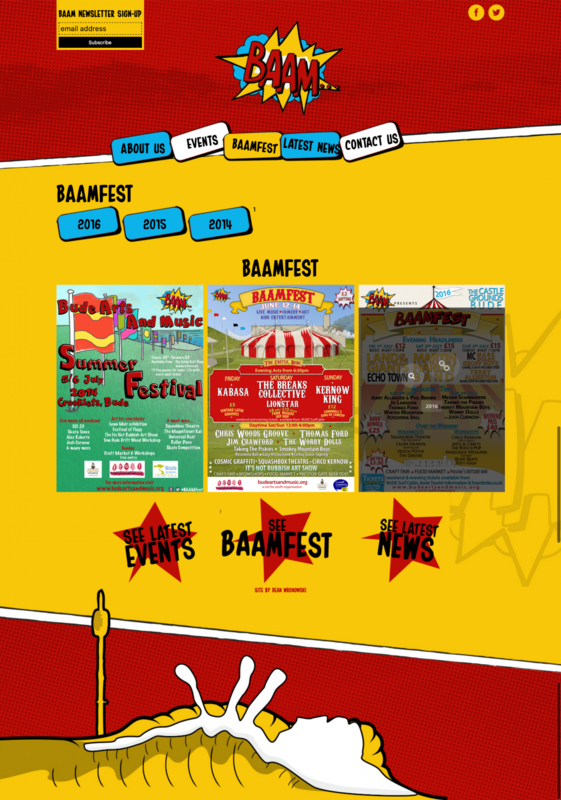 BAAMFest aims to promote and create arts and music events in the Bude area, offering the community opportunities to gather in a relaxed and friendly environment, to create, enjoy and learn. As the website developer, my task involved designing an illustration of the Castle grounds where the festival takes place, followed by a website design and development to showcase all the activities and events happening at the festival. Overall, I am really happy with the illustration design and website. BAAM has worked with Dean for the last 2 years. He helped us set up a website for BAAMfest 2015 and it was a great experience. After the festival Dean was more than kind to help us revamp the website and personalise it. After initial brainstorming he successfully translated our sketchy ideas into a vibrant website. He has always made time to accommodate our requests and assist with hiccups. He is very easy to communicate with and is fast responsive. I particularly like his work cause he has a strong understanding of how to illustrate and communicate ideas through design. Last but not least Dean has worked voluntarily with us all this time, which speaks volumes for his ethos and character.